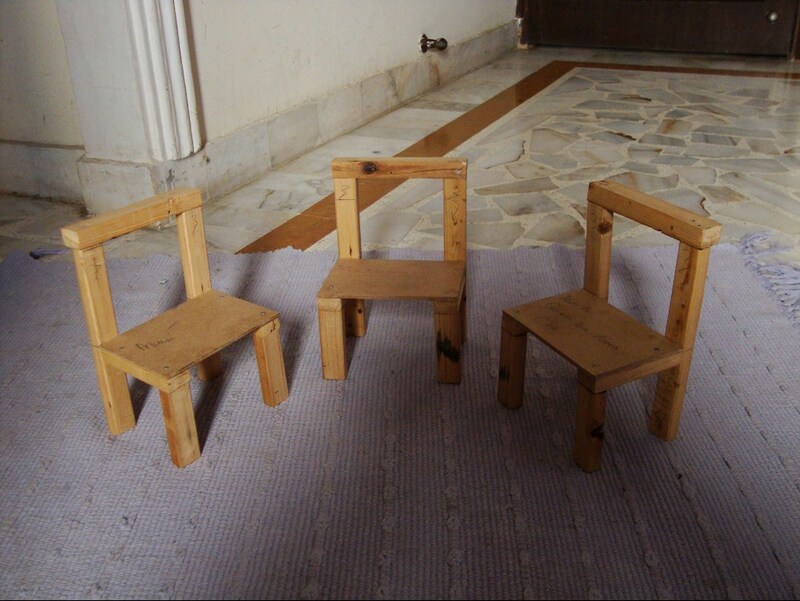 Chronicles of Pirani: Three 'Chairs' for the Piranis! Hip,Hip, Hooray! Alhumdulillah, a fellow Home ed. friend invited QBAP, IBAP and MBAP to accompany her son for a session of carpentry at her place. The boys were estatic, and enjoyed a day off from beating around their books to beating around a hammer, Alhumdulillah. The hired carpenter was a very friendly and patient man, he brought all the equipment needed for the above project and instructed the kids through it. The boys were happy to be able to measure, saw and hammer without adult interference and they seemed to throughly enjoy the pleasure and satisfaction of making something on their own, Alhumdulillah.